Choosing the right material for your roof is an important decision, both in terms of looks and function. With the wide variety of materials available, it helps to make an informed choice. With that in mind, here are eight popular roofing materials, and the pros and cons of each one. The most commonly-used roofing material in America, asphalt shingles are comparatively inexpensive. They typically last between fifteen to twenty years, and complement a variety of architectural styles. Asphalt provides a wide range of weights, colors, styles and sizes, making it an easier material to fit to a specific roof. The shingles are available in felt or fiberglass, although the latter is more popular. It’s important to note, however, that Asphalt shingles are less resistant to wind and ice than some other materials, and they can also succumb to mildew and moss. Finally, asphalt shingles are reputed to be less environmentally-friendly than some of the other roofing materials available due to a small amount of roofing residue in the runoff. Laminated shingles are an upgrade of asphalt shingles. Made of two layers bonded together with an asphalt sealant, they can last between thirty to fifty years, and offer better protection against damage from fire and wind. They are also popular due to the beauty of the multi-dimensional, varied aesthetic they bring to a roof. They are more expensive than asphalt shingles, however, and are still not as environmentally-friendly as some of the roofing material alternatives. Considered a ‘lifetime roof’ as it will often last for a century or more, Clay tile can be overlapped or interlocked. Available in curved or flat varieties, and in an array of colors or textures, clay tile also boasts low maintenance and strong fire protection. For many homeowners, the natural beauty of clay tile helps justify the higher cost, as they see it as an enhancement to their property. Clay tile is also breakable, therefore any walking on the tiles should be left to professionals to avoid chipping or cracking. Generally, clay tile is seen to compliment specific architectural styles Thus it will be ruled out by many homeowners as it has the potential to look a bit out of place if it’s not in keeping with the aesthetics of the structure. Mainly composed of cement, sand, and water, concrete tile is available in a number of different colors, finishes, cuts and shapes. Concrete Tile is a material with a long list of advantages, including a long lifespan of thirty to forty years, low maintenance, and high durability, as well as top-level fire protection, energy efficiency, and natural noise insulation. As a heavier material, anyone considering concrete tile should consult a professional to see if their home is structurally sound enough to support it. Metal roofs have leaped generations beyond the old, tin roofs from the barns of yesteryear. Chosen by some for their functional qualities, and others for their aesthetic values, metal is increasingly used as an alternative to traditional shingles. Available in steel, aluminum, copper, and alloy, metal roofs are fire-resistant, highly durable, require minimal maintenance, and typically last fifty to seventy-five years. Metals can be cut to match a number of different styles such as clay tiles, shingles, or smooth sheets. Metal reflects the sun’s rays, keeping your home cooler in the summer time. 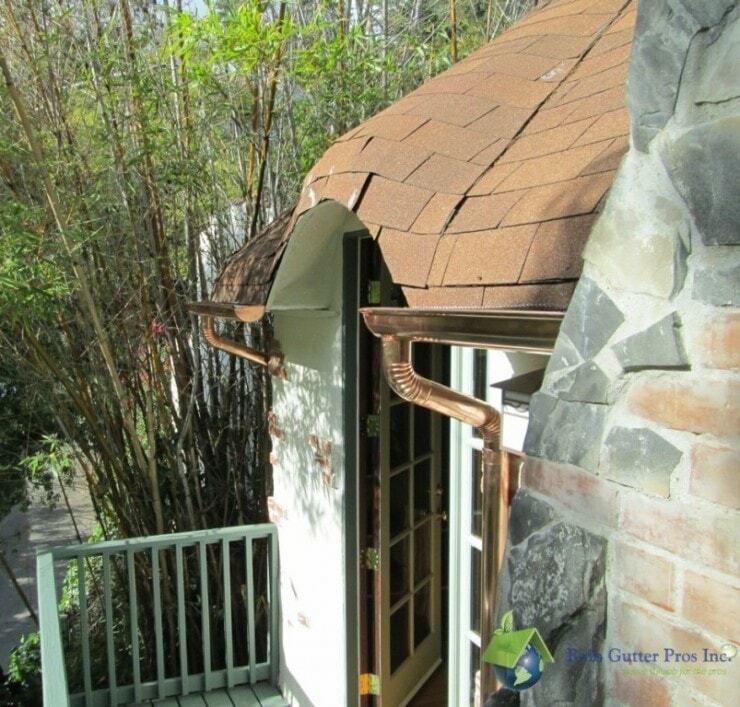 The main factor for many is the high cost of metal roofing, particularly copper. Often used on historic homes due to it’s beautiful aesthetic, natural slate stone is fireproof, and comes in a number of naturally-occuring shapes and colors. Highly durable, lasting between sixty to two hundred years, slate requires little maintenance and is completely waterproof. It is very heavy however, which means that it may require extra roof support to be installed, which is an additional expense. Slate can also break and therefore requires top-quality expert installation. While it looks like natural stone, synthetic slate offers extra advantages in that it is lighter and less expensive. Made from recycled synthetics, it is highly durable, easy to install and is available in a wide variety of colors. Synthetic slate roofs typically last forty to sixty years. Offering a high resistance to rot, wood shingles or shakes can last as long as forty years if properly cared for. Their natural appearance blends in with the environment, making them a popular choice for many architectural styles. Often they are treated with fire retardants and chemical preservatives, increasing their resistance to fire and premature decay. Natural color variations ensure that no two wood roofs look exactly the same. While shingles are cut by a machine, shakes are cut by hand and thus can provide a more rustic appearance. On the downside, wood shingles and shakes don’t last as long as many other roofing materials and require extra care and maintenance.